the Presidential Task Force on Pension Reforms, Abdulrasheed Maina, since September 2013. According to the Comptroller-General of the NIS, Mohammed Babandede, Maina has not travelled out of the country since 2013, at least through the nation’s airports. Speaking at an investigative hearing set up by the House of Representatives ad-hoc committee on his controversial reinstatement and promotion, Babandede also said the pension scandal fugitive has the dual citizenship of Nigeria and the United States of America. While being questioned on Thursday, the Comptroller-General of Immigration explained that Mr. Maina did not leave Nigeria through any of its legal boundaries or airports since 2013. “We have checked our records and we have not seen a single name of Maina pass through our airports since 2013 when he was blocked; so the record available to us shows that Maina has not been travelling. “If he has been travelling, then it means he has not been travelling through an airport we can see. By law, if you pass through a border you are entitled to report to an immigration officer. So if Maina has been travelling from 2013 till date, we don’t know. If he has been passing through borders he has not reported to an immigration officer. As far as we are concerned, Maina has not been travelling since 2013,” Mr. Babandede said. 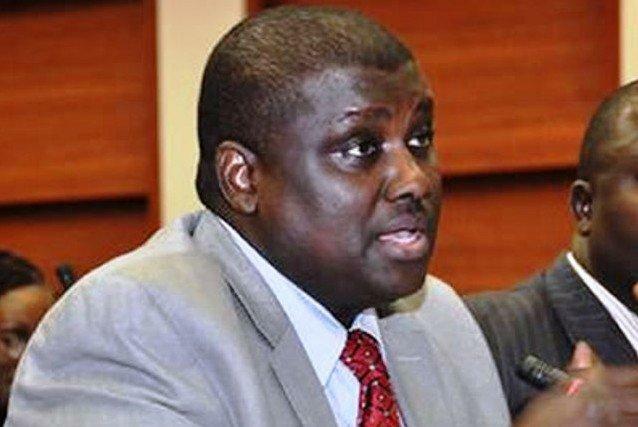 “We knew about Maina from 27 September 2013 when he was leaving the country and he was stopped at the Murtala Mohammed international airport because of the letter from EFCC. “Prior to that time, Maina was never in our stop list. He has been a frequent traveller across airports. He has 3 passports. An official passport which has expired and has not being renewed; a standard passport which is currently valid till 2018 and an American passport.